Are you hitting your goal on the number of deals your closing? Scaling is a struggle that all businesses will face, too many small businesses fail because they are not properly scaling up and growing. 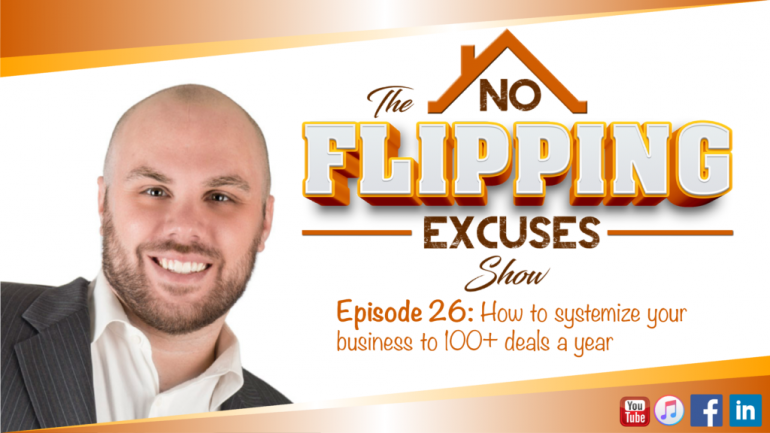 In this episode: I am going to speak with Don Costa, a fellow real estate investor and host of his own podcast “Flip Talk”, about his business and what he is doing to close 100+ deals a year. Before Don started closing the number of deals he does every year, he had to trip and fall. Here is your chance to avoid the mistakes and do it right the first time! Don is going to cover he does his deal funding on the rehab projects he takes on, how me makes connections for growth, how he scaled up his business to take on the deal flow, and how his business continues to run even while he is not around. Don’t miss out on these great tips! http://www.jasonlucchesi.com How to find and flip your next real estate investing deal through simple and easy steps through Jason Lucchesi’s website. If you enjoyed this video on how to make money with real estate investing make you click the “Thumbs Up” button, leave a comment and subscribe to the channel. We’re constantly creating brand new real estate investing content that will you make money from home or wherever it is that you like and choose to do business from.